At the end of June, Nillumbik will adopt their 2018/19 annual budget. Submissions from Nillumbik residents were being accepted during the month of May. If the draft budget is adopted, this is how it will affect the Shire’s 64,000+ residents over the next 12 months. Rates are always at the forefront of residents’ minds and there is a proposed rate increase of 1.95 per cent. Nillumbik’s municipal rates charge, which was previously a separate and fixed charge of $95.84 per property has been “abolished” and subsequently absorbed into the general rates charge. The ban by China on foreign waste which has impacted many municipalities will not impact the 2018/19 budget. There is a $0 increase in waste management charges for Nillumbik households, which is in contrast to neighbouring municipalities which have seen an increase on their waste charges of around 20%. Both Manningham and Yarra Ranges councils have attributed this increase to the impact of not being able to on-sell recyclable waste to China. 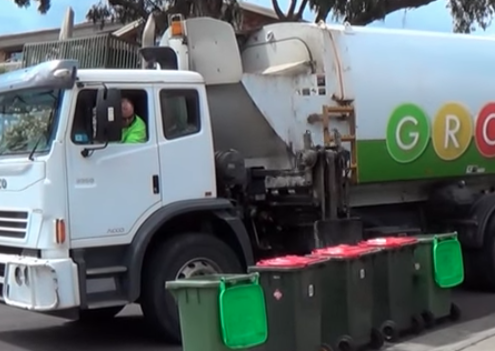 This is good news for Nillumbik ratepayers who are already paying higher rates for their kerbside waste collection, but it is also worth noting that Nillumbik’s ability to keep waste collection rates at 2017/18 levels could be attributed to the Shire’s generous recycling policy, which allows residents to recycle plastic bags and other soft plastics such as bubble wrap and plastic wrapping from food and appliances. At present, residents of Manningham are required to place these materials in their general waste bin. The “Green Wedge Shire” has sport and infrastructure as key projects on their agenda for the next financial year. Some money has also been set aside in the Council coffers for the Diamond Creek Trail extension — a project which will connect the cycle trail network all the way to Hurstbridge. These projects cannot proceed without additional income from State Government. In April 2018, Nillumbik Council announced they had successfully lobbied the Victorian Government and secured an additional $400,000 through the Growing Suburbs Fund, which is on top of a previous grant of $800,000 from State Government. The granting of funds from State Government came at the eleventh hour for Council when it was considering selling 17 parcels of Council land (including a number of reserves) which was strongly protested by Nillumbik residents. As reported in the April Diary, Cr Clarke had indicated that additional funding was required for the development of leisure and infrastructure in Nillumbik and lobbying state and federal government to help foot the bill is preferred to selling off large amounts of land. “As a result of our lobbying efforts we are now starting to crack open funding opportunities that may result in us being able to preserve these community assets, while at the same time delivering on new and upgraded community facilities. “Our success in securing these funding opportunities has relieved pressure on Council to have to sell all 17 sites,” he said. Projects such as developing sports pavilions and extending the Diamond Creek Trail will still require more funding than Council has put aside. The 2018/19 budget reports that council may have to look at land sales as a way to generate funding for future Capital Works. 48 submissions were made to Council concerning the 2018/19 budget. There were also many voicing anger at Council for a lack of information about funding for Yarrambat Golf Course. “Council can confirm capital works will be undertaken during the 2018-19 financial year to the Golf Course. In addition to the works and part of the maintenance program Council will be planting 500 trees around the facility. Council continues to review the entire capital works program on an annual basis, this process includes (but is not limited to) assessment of renewal gap requirements, compliance with statutory obligations and consideration of future needs. In terms of major projects, with Council’s focus on developing sporting grounds and infrastructure in the more urban areas of the Shire, there is not much in it for residents in more rural areas such as North Warrandyte, Bend of Islands or Christmas Hills. In light of the $307M political football kicked by State Government Opposition Leader Matthew Guy, which promised the Coalition would fund the duplication of the railway line between Greensborough and Eltham, Nillumbik’s $1.7M Hurstbridge Line Overpass could indicate further disruption to Warrandyte residents and Bridge users, similar to what was seen in March and April of this year during the Clifton Hill–Greensborough upgrade.